Hey! As the weather gets colder as Winter heads into New Zealand I find that I spend more time reading. This means that more book reviews will be coming out over the coming months. I have got a couple of books lined up for after this one, but would love some more suggestions on animal themed reads. As some of you may know, my partner owns a Miniature Schnauzer named Asha, so when I saw a giant Schnauzer on the cover of a book there was no way I couldn't buy it. Little did I know at the time was that this book has only just come out, but is causing quite the fuss. My younger sisters who are still at school have said they have seen it being advertised at the library and at all the book stores. 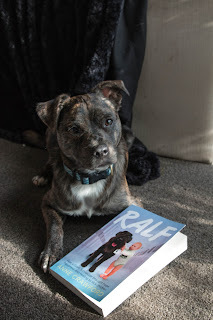 Then I done some research and found out that Ralf had been one of the few to become an overnight Internet sensation from someone posting that photo from the cover of the book. Hey! This is our second photo a day for June, and probably our last for this month so hope you enjoy it. For some reason my week this week only lasted five days, but I hope you can forgive me! Monday 15th June Knuckles enjoying some fresh water. Even if Knuckles' bottle is half full in the morning, whenever I put fresh water in he runs for it. Tuesday 16th June Schnau doing his new favourite morning ritual, which is stealing my slipper before I can put it on and then enjoying the chase around the house. Occasionally Diego joins in, more often than not he just wants breakfast. Wednesday 17th June Surprisingly, and probably a little upsetting to some is that we showed Diego his birthday hamper the day before his actual birthday and had our main photoshoot then. It meant it was all ready to go up on his birthday, plus he didn't get any treats on this day. Hey! 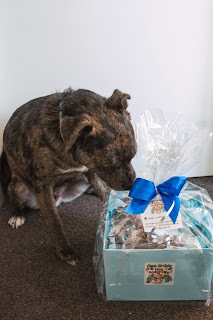 We celebrated Diego's first birthday this past Thursday, and our one big present that we got for him this year was this Birthday Hamper from One Podgy Dog. Before I go further into this hamper, we are hosting a giveaway on our Facebook page to win one of these hampers. Please head on over, enter that, then come back and find out what is inside the hamper you may be winning! With pets, it is always hard to know whether you are doing the right thing for them. 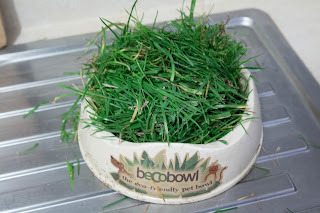 I believe that most owners do want the best for their pets, and I think that they all think they are currently on the right path. 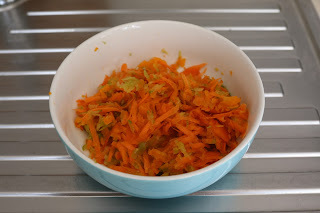 I personally thought that I had done enough research to know the best diet for my rabbit and guinea pigs. I learnt the 80-85% hay, 10-15% vegetables, 5% pellets rule for guinea pigs, and the slightly lower ratio of vegetables for rabbits. 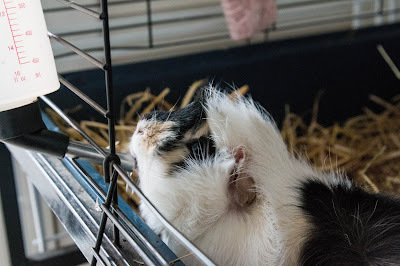 I got the best possible food that I could find on the market in New Zealand, Burgess Excel Guinea Pig and separate Burgess Excel Rabbit food and then I made sure that all pets had a constant supply of hay in their cages. Hey! I have decided to start doing a post every so often which is a photo per day for a week. I thought this would be a cool idea to show some of the day to day activities we get up to, and I also hope it helps improve my photography skills. I think I better let you in on a little secret before I begin this post, these photos are not from a consecutive week. They are all from June though. I keep forgetting to bring out the camera to document what we are doing, and I hate phone pictures. I am hoping to be better next week, I promise. 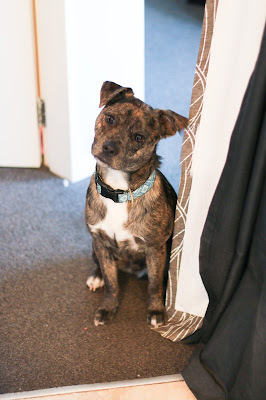 It has always been really hard to capture Diego's head tilt in photos, although it features a lot in his real life. Wednesday 3rd June It has been atrociously freezing here recently. Winter has definitely come early for New Zealand, and Diego does not seem to be appreciating it. Sunday 7th June Diego's signature face. I was trying to get a photo of him ripping his ball apart, but the minute the camera came out he stopped. When you have a dog that likes to destroy toys in an instant, it is hard to find something that will stand against their teeth and will power. Diego is that exact dog. Nothing has ever lasted very long with him, and as he has got older it has gotten worse. My partner and I then went on a quest to find some tough toys that would withstand our little staffy. We found a blog post listing the authors top ten favourite pit bull toys, and immediately put an order in on Amazon to get four of those items shipped to us from America. I have decided that it would be awesome to start a series of testing these 'tough' and 'pit bull proof' toys on Diego, an English Staffordshire Bull Terrier crossed with a Miniature Dachshund. I hope that this will help other owners that are struggling with a destructive dog to find toys that will last. Hey! On Sunday it was Knuckles' first birthday. I can't believe that he is already one, it feels like a couple of months ago that we got him. When we got Knuckles, we had been on the lookout for another male pig to keep BMO company when we separated him from Schmutz. I hate to say it, but Knuckles is a pet store pig. I have learnt my lesson and will never purchase a pet from any pet store again, but at the time we were having trouble finding a young male at the rescues near us, and we didn't want BMO to be alone for too long.